We’re proud to present our annual event to celebrate International Women’s Week. This year’s theme is Here I Am. We will feature an array of stories about embracing identity with pride and coming into one’s own. 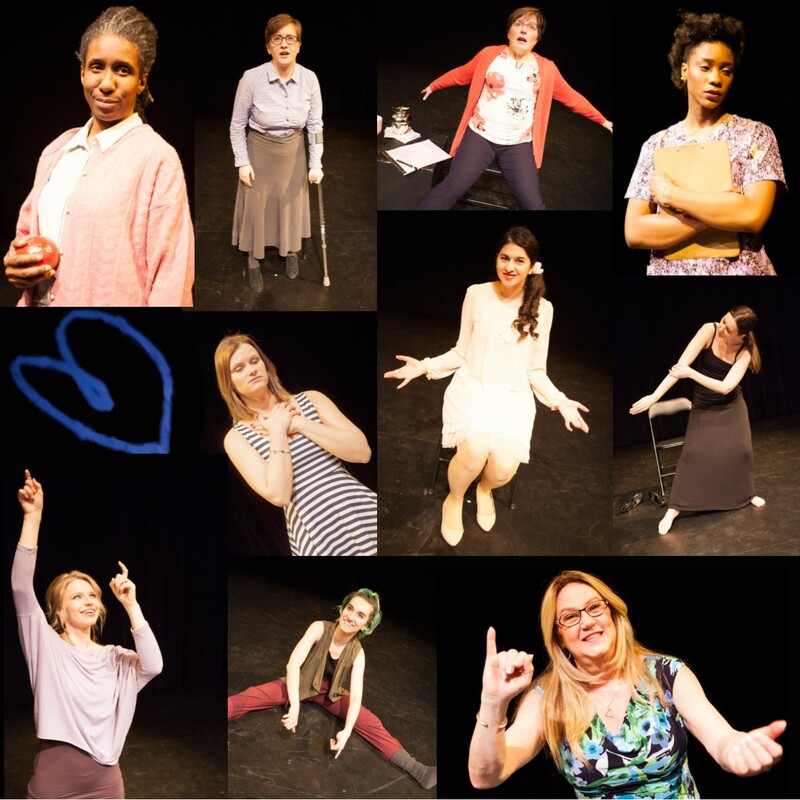 Monologues from playwrights across Canada, as well as performance pieces, will be featured in shows at various locations throughout the community. There will also be two public performances of the full line-up for the general public. Details on the line-up below. Please note that some pieces do contain strong language. As outlined in the descriptions some themes may also be triggering. Josephine is a spunky seventeen-year-old girl, confident in her sexuality. This confidence is put to the test when she introduces her girlfriend to her religious family (and of course Father Henry) at Sunday brunch. While waiting in Cancer Care, Maggie reflects back on her life, her resentment towards her large breasts, and how the thought of losing one of them changes her perspective. In 1961, NASA denied training to the “Mercury 13”, an all-female band of astronauts. Refusing to take no for an answer, Geraldine fights for respect from NASA and her family. Chris is a patient in the psychiatric ward of St. Andrew’s Hospital. After experiencing a traumatic event, Chris has begun recovery from an addiction to painkillers. I Am NOT a Victim is a charismatic, satirical poem challenging the media’s perception that women are – and always will be – a victim of something. Talking about ED is a short puppet piece exploring the “elephant in the room”: how disability and the secrecy surrounding it affects lives. Janet is a fast-talking car saleswoman looking to get you into your next vehicle, all based off current global issues. The biggest problem with these cars isn’t the millennials, or the toxic chemicals, or the Nazis… it’s the auto-pilot feature. waNda wilsoN portrays an eclectic mix of raw, sweet edge with a musical approach that is bold, courageous and out of the ordinary. In this piece, Wanda will share a story followed with a song. How do you confront the destructive power of your own creation? When a data scientist meets a single mother in need, she questions and reflects on her life’s work. *The Asper Centre for Theatre and Film is wheelchair accessible. Gender neutral washrooms are available.